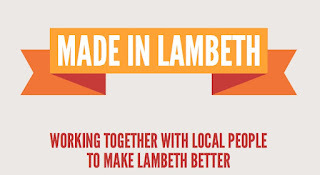 I've lived in Lambeth for 11 of the last 15 years, but I've never spent that much time thinking about Lambeth Council. I appreciated it when they started collecting cardboard for recycling. I was vaguely impressed when I could pay my council tax online rather than by post. I enjoyed Myatts Fields and Brockwell Park. And I was wary of the councillor pamphlets, which only ever seemed to arrive when they needed me to vote. I understood the benefits of local government, but the reality of trying to engage with it meant reading highly partisan election leaflets that highlighted the negatives and blamed the other parties for them. So, I was not particularly engaged. 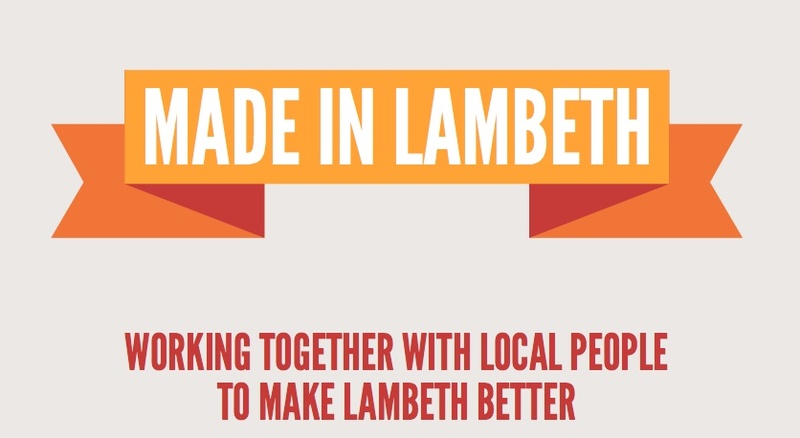 Still, I understood that local councils were potentially a force for good, so when Good For Nothing announced that they were doing an event with Lambeth Council I signed up. I'm glad I did; it was a great event, and very ... well ... engaging. Lambeth Council are aiming to be a Co-operative Council, the principles of which are defined here but essentially the idea seems to be to involve the community much more in everything; planning, provision, feedback. Egged on by local techies, parts of the council had agreed to take part in a hackathon to work with the tech/design community on a few specific projects. Officially, they didn't really call it a 'hackathon', and I suppose it had slightly more design/ideas people and slightly fewer coders than previous hackathons I've seen. 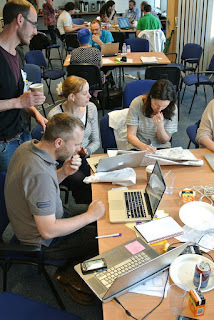 But if I had to describe it quickly, I'd call it a local council tech/design/ideas hackathon. Healthwatch - conceptualise and plan a new independent organisation which will, as mandated by the goverment, act locally to gather healthcare feedback and ... well ... its pretty hard to explain. See the wikipedia page. Parks - to find ways to engage more people in co-operatively using and improving Lambeth's parks. Then, at the event launch, forty five people got together - some from the council, but mostly volunteers - and the briefs were explained in more detail. And Good for Nothing laid out their groundrules and their manifesto.Then off we went, with 48 hours from 6pm on Thurs 21st June to 6pm on Sat 23rd. I was quite tempted by Parks, but I ended up on the Digital team. Some of the web team from the council were there, and they had a pretty good idea what they wanted: An open-source CMS powered web site, that could be built and edited in co-operation with the community. 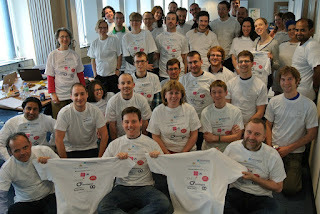 They were keen on trying out Drupal, and there were a couple of coders present who knew Drupal, so off we went. Correctly understood, the word 'hack' in 'hackathon' means 'making' not 'illicitly breaking into things' - an esoteric distinction of terminology that many techies understand, but is not so clear to non-techies. The people that go to hackathons are, its pretty safe to say, not the same people who are controlling botnets. This slight branding problem is perhaps holding the hackathon type event back from becoming even more popular. Wisely in this instance, Good for Nothing had avoided the word 'hack' altogether. Still, the room had the usual buzz that hackathons do. Some of the council folk found the atmosphere very refreshing, and the excitement of being able to get something done without a risk register and hundreds of pages of project documentation seemed to be giving them something of an epiphany. Some pretty awesome stuff did get done - more on that below. But I hope those council folk didn't leave with the impression that their usual way of working didn't have merits of its own. Certain phases of certain projects are well suited to a hackathon format but you couldn't work like that all the time. Councils have a ton of different legal responsibilities, and things like risk registers, paper trails, review meetings and approval processes all have their place. The paperwork-heavy checks and balances are organisational defense mechanisms, with the aim of minimizing costly or serious mistakes. I've seen organisations that didn't have enough beaurocracy, and over the longer term it can be just as damaging as having too much. To their credit, Good For Nothing and the council had carefully chosen projects and briefs that they thought would work well in a hackathon format, and that was key to the great success of the event. A clear concept of what Lambeth's Healthwatch could be - "an independent consumer health voice" - with design, approach and all the foundations of a successful new startup. Watch @ourhealthwatch for future developments. Some new perspectives on parks and how to foster community engagement with them, with lots of practical things done and plans for future web sites and actions. See the Parks Team presentation here. Generally, some new ideas and new ways of working, and a tangible demonstration of what 'co-operative council' could mean when co-operating with the tech/design community. A refresher on the Lamp stack and a really good introduction to Drupal. Also got to investigate some fun twitter and google maps hacking. And, of course, had fun and met some great people. Learnt a lot about Lambeth Council - for example: they provide about 800 different services in the Lambeth area. Seeing their work in more detail gave me a great respect for how much they manage to do while navigating a complicated landscape of policy and legal liability. I learned of the 'co-operative council' concept and saw first hand that it was leading to some genuine innovation and was not just tired old mission statement word re-arranging. In summary: With suitable project ideas figured out in advance, the hackathon approach dovetails fantastically with the co-operative council concept. Hackathons are all the rage at the moment, and are great events for lots of reasons. I'm aiming to go to hackathons that have charitable objectives, and hence I was excited to see that a bunch of organisations (the Goverment Digital Service, Go On UK, Westminster City Council, The Connection at St Martins, SHP and Homeless Link) had worked together to organise a Homeless Hack Day on 16th June 2012. Its easy to imagine ways that modern technology can help charities and agencies that work with the homeless. To the uninitiated (i.e, me before the event) its less obvious how modern technology can help the homeless community directly. But during talks from SHP, Homeless Link and The Connection at St Martins we learned that homeless people have increasing opportunities to get online (hostels have internet stations that are among the busiest parts of the centres) and often have access to standard (ie. non-smart) phones. SHP and St Martins both had very successful projects involving sending out news and info to homeless people by SMS. One challenge homeless people face is their phones getting lost, stolen or broken, so keeping track of their changing numbers can be a problem. On the HomelessHack site, The Challenge page describes some of the ideas that were presented going into the event. Third-sector tech maestro Jon Foster seemed to be the main hacker-herder for the day, and he did a great job priming us with ideas without leading us too prescriptively in any one direction. The most interesting anthropological bit of a hackthon is when everyone mingles around, suggesting ideas and forming into teams. You have to be un-shy about randomly joining discussions with potential teams, and also not too shy about then randomly leaving them and joining another one. It being a one-day hackathon, we only had 7 hours in total for doing things, so Jon and his team encouraged us to crystallise our ideas as soon as possible. Soon we had settled into six teams. Then we did the doing-things bit. Its quite hard to explain the atmosphere if you haven't done a hackathon before. You meet new people and then rapidly get to work on things, swept along by a wave of enthusiasm and pizzas. They were all great, but it was particularly impressive how the Homeless Link API project fed info into the Everyone In project. Everyone In was a smartphone app that allowed people to notify charities and agencies when they see people sleeping rough. It used the Homeless Link API to work out which charity to notify, and also returned a list of relevant agencies to the user so that they could personally offer assistance. It had a great working prototype, and integrated with the open-source Taarifa platform for info collection and visualisation. I was on the Social Capital team. We started out trying to find ways to make a social network support homeless people, through interaction, positive feedback and building networks of support. However one of our team was actually a homeless overseas student, and in hearing his story of a long bureaucratic struggle to extend his Visa, track down his missing passport and re-establish his official identity, we branched onto a different idea: An SMS based LogBook that would allow homeless people to easily log important information and so give them a better chance of keeping on-top of the things they need to organise. We didn't have time to build any prototypes but we got a lot of design work done, including ideas about how the LogBook could evolve into a social network (hence the Social Capital team name) and from there for it to become a way for people to offer practical donations of support to homeless people. We're writing it up the design now, and hoping it can be used in future hackathons, so watch this space. The judges, headed up by Marketa Mach, had difficult decisions to make, and they decided to give the awards based on future potential impact. Homeless Link API came first, the Text Donation project came second and Social Capital came third. You can read what the judges said here. I was surprised and delighted that the team I was on came third. I know it sounds like a bit of a cliche, but I really think all of the teams could have won first prize. 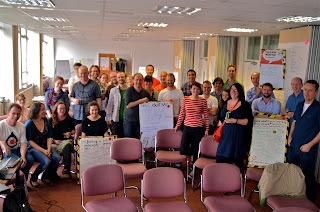 The plan is to hold another Homeless Hack Day in a few months time, so it will be really interesting to see what happens next time. Many thanks to @jonfoster, @maakusan, @irenedigital and @teamcampLondon for looking after us, and to my teammates @paolability and @voltron2009.